KAMPALA (Scrap Monster): The southeast African country, Malawi, has decided to ban the use of thin plastics effective June 30th this year. 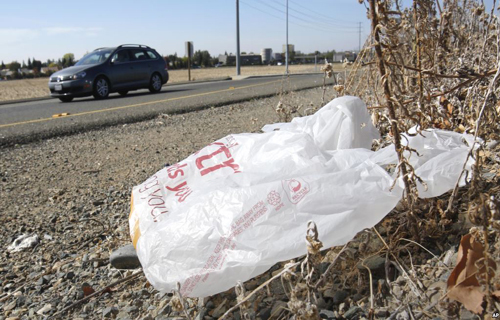 The country’s Department of Environmental Affairs had fought long legal battle with the thin plastics manufacturers in the country, to finally win a ruling in their favor. The enforcement of the ban will be effective 1st July, 2015. The country had imposed the ban effective 30th June, 2014. However, the association of thin plastics manufacturers had taken the matter to the court, stating that the ban was being imposed without giving them sufficient time to dispose of the thin bags already in stock. The Department of Environmental Affairs noted that the actual ban is all set to materialize now as the manufacturers have already got one year to clear their stocks. The Department has called upon the co-operation and joint efforts of other government departments to strictly enforce the ban. It has also stated that any resistance to ban will be defeated. Education and awareness campaigns will be run throughout the country to help citizens realize the importance and relevance of the ban. It hoped that the ban would be implemented in a smooth manner. The government also urged citizens to switch over to the use of thicker plastic bags and carrier bags that are found more environment-friendly. The environmental degradation caused by thin plastics had been a major concern for the country. In addition, the government has already entered into agreements with two private companies to take care of proper recycling of thin plastics-one of them is fully operational and the other is already into pilot phase of thin plastic recycling . The ban of thin plastics is expected to reduce plastic waste in the country and create a cleaner and healthier environment.